Did you know that we are on several Social Media sites? 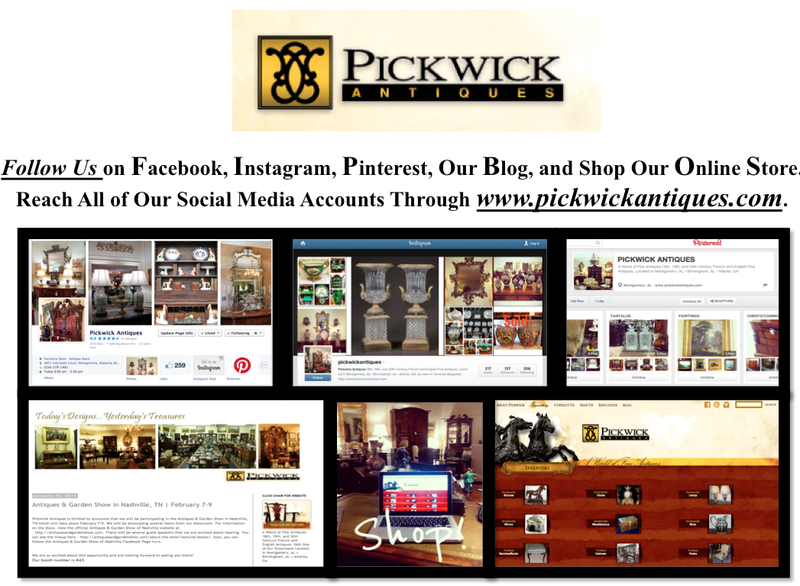 Make sure to Follow Us on Facebook, Pinterest, Instagram, and Shop our Online Store! You can get to all of our Sites by clicking the links on the right side of this Blog! We hope you have a wonderful week and keep up with us on the web! Welcome back! 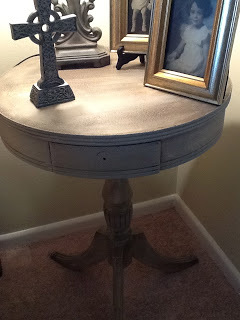 Today we are going to give examples on how to incorporate Antiques into your home! 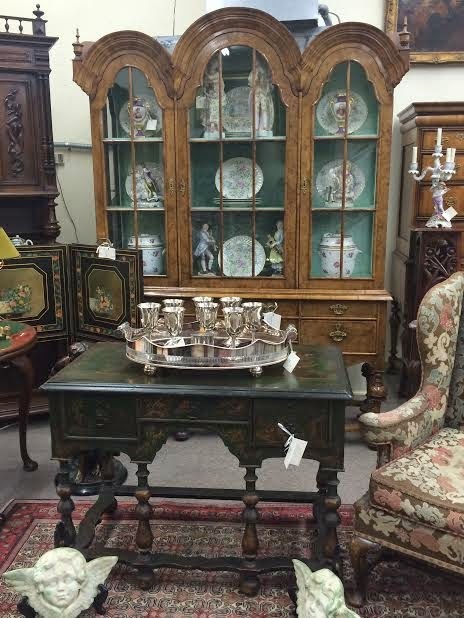 Antiques can turn any room into a beautiful, elegant retreat. 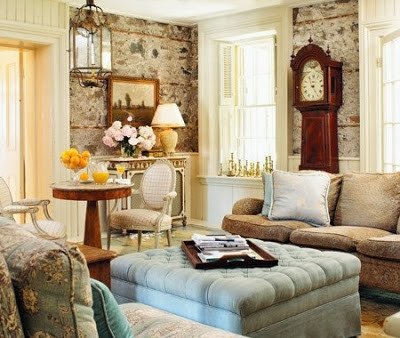 Below are photos of spaces that are wonderful examples of how Antiques have given these rooms character and charm! 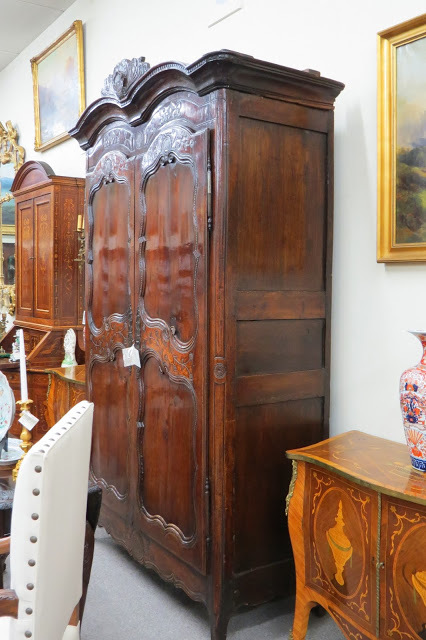 Let's take a look one by one and see pieces that we have here at Pickwick Antiques that will give your room(s) the same look! Welcome back! 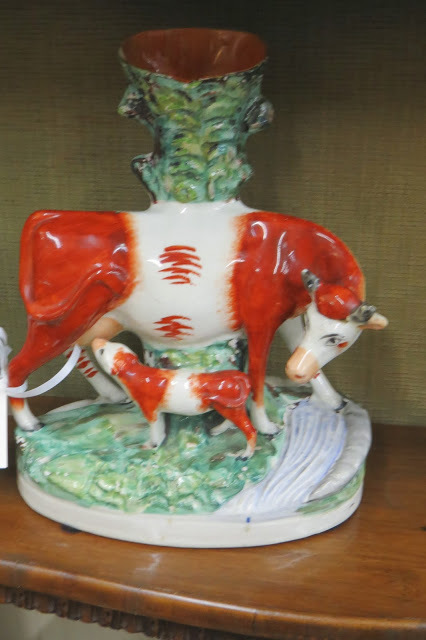 Today let's talk about Staffordshire Figurines. 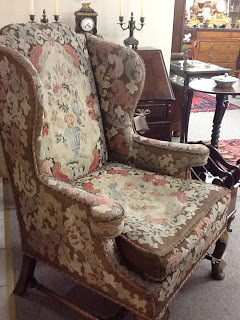 We have a wide variety of them here at Pickwick Antiques. These figurines can add character to any space and are highly collectable items. 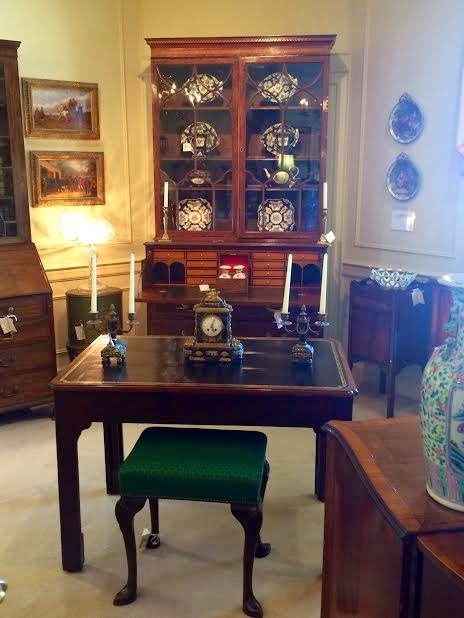 Lets take a further look into these pieces that we have on display in our showroom and the wonderful history behind them! 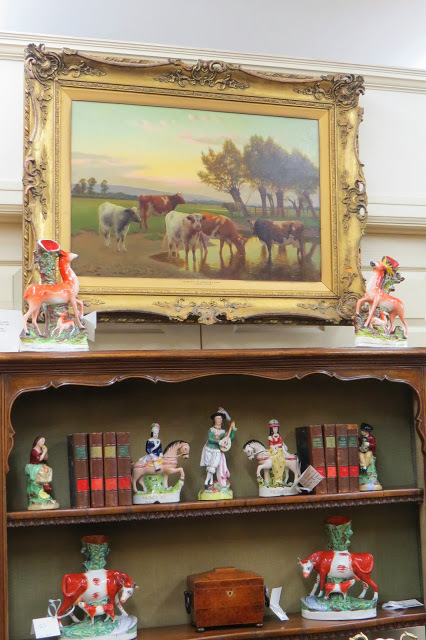 According to the Antiques Roadshow website http://www.pbs.org/wgbh/roadshow/tips/staffordshirefigurines.html these figurines were created in England by potters in the late 18th Century with rich colors and are full of detail. These figurines can depict animals, buildings, and politicians. 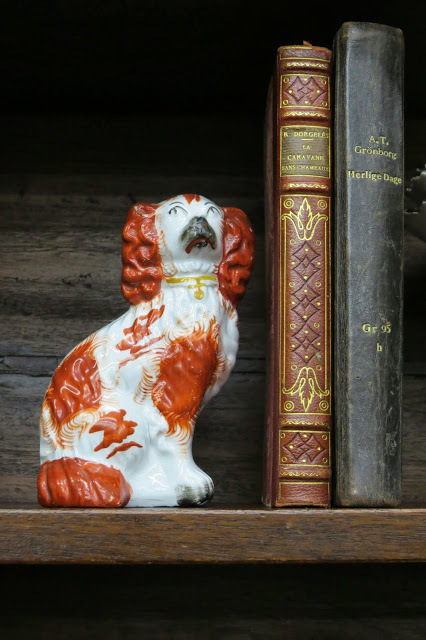 Gilding - According to the book "A-Z of Staffordshire Dogs: A Potted History" by Clive Mason Pope there are Two Types of Gilding that were used on the earliest of dogs until the end of the 19th Century. Best Gold was Fired and Fixed and in to place. Bright Gold was Applied in a Liquid Form After Firing. 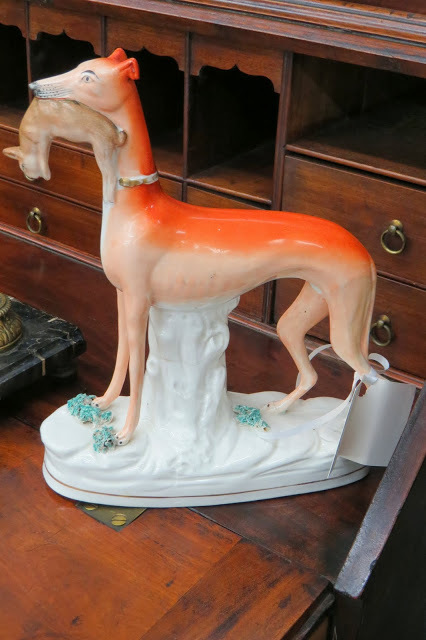 A Staffordshire Figurine of a Whippet with a Rabbit. Matched Pair of Greyhounds Mounted on White Bases with Rabbits in Their Mouths, in Excellent Condition. An Unusual Pair of Matched Grey Hounds Mounted on Oval Bases. 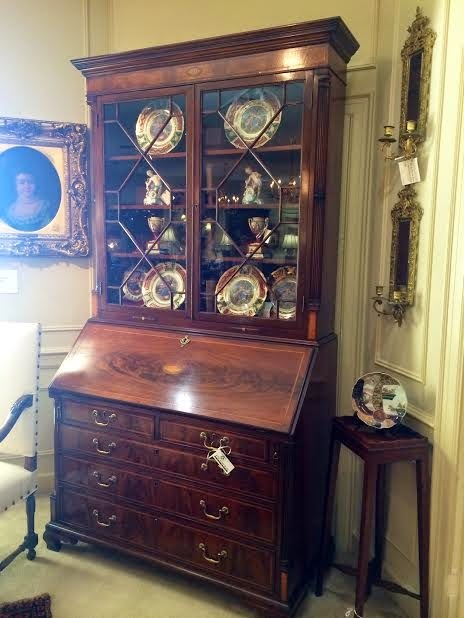 A Chippendale Style Mahogany Bureau Bookcase with Glass Panel Doors, Candle Slides, Good Fitted Interior and Bracket Feet. 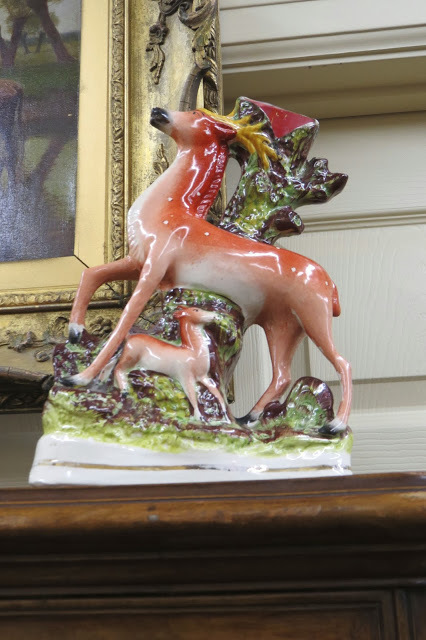 A Pair of Staffordshire Pottery Spill Vases Groups of Deer. 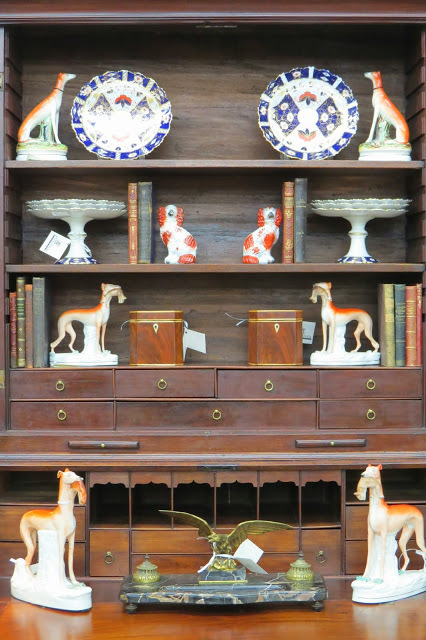 To View Our Complete Collection of Staffordshire Figurines Visit our Montgomery, AL Showroom Located off of Perry Hill Rd. I LOVE the crispness of a neutral palette in most anything in life...yet ...I must admit...my closet would be used in a court of law as evidence otherwise. Color is science. Using that knowledge of color is design and decoration. Some of the shows on the networks often show first -time buyers who determine their choice in housing by the color on the walls...Like cosmetics and accessories...it is an EASY solution and not cost prohibitive. 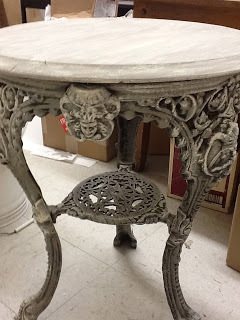 Painted furniture has been around since the ancients began telling their stories through this medium.Today's painted furniture is proof that there is nothing new under the sun. It is , however, important to not merely paint everything in sight. 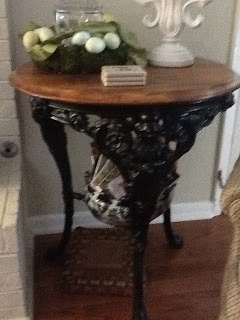 There is not a magazine out there today that does not have examples of painted, distressed or enhanced furniture. Entire trends are now revolving around this technique. Personally, I am delighted to see how these pieces blend so effortlessly into the current design schemes. There are SO many techniques....and appropriate paints for even the most treasured item. 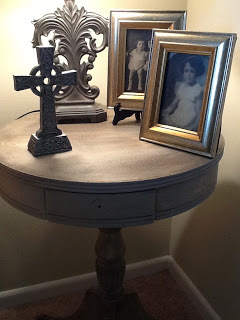 I , personally love the "Annie Sloan Chalk Paint " because of her attention to historical colors, the quality and versatility of her paints and , of course, her waxes. In addition to these things, her paints are so easy to blend and mix with waxes. There is no stripping of the item, very little if any sanding and the best is the paints are totally eco-friendly. I am learning with every piece that I really want to highlight the details so that the beauty of the piece comes through. Therefore, my pieces will not be as "painted" in appearance as some. The beauty of this technique is ...you are able to customize the piece to the look that makes YOU happy. 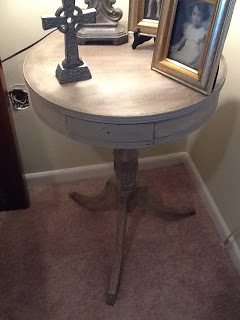 My first attempt was a drum table that belonged to my Grandmother...mahogany with lovely brass "claw" feet on casters..It now has a lovely new drawer pull. Fun! 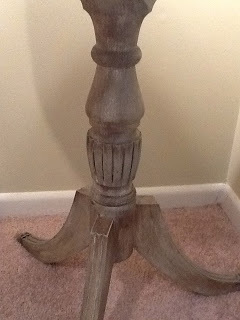 The next pictures will feature plain "Jacobian" style lamps with a "lift", a Scottish Pub table that REALLY shows the highlighted details, and a beautiful mirror that went from boring to fabulous. Remember.. as ALWAYS...Design is in the details!!! 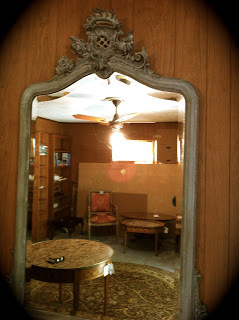 This beautiful mirror would add to any decor... Visit me at Pickwick Antiques! Now,before you hyper-ventilate and say... I cannot afford to invest in art....let me offer some advice. Art is not limited to a canvas. 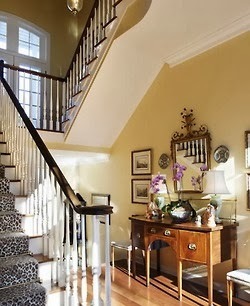 Love the piece that you select and think of different vignettes to use it in. Your style and taste for art sometimes changes through your life journey. ( I can assure you that this is true). Do not follow all of the fads and trends when it comes to art....in other words...just because you see it on every magazine or website for a certain period of time does not mean that it will be highly collectable in years to come. Your selection of art should not be totally based on a color scheme. Many choose a piece because it "goes" with the colors in the room. 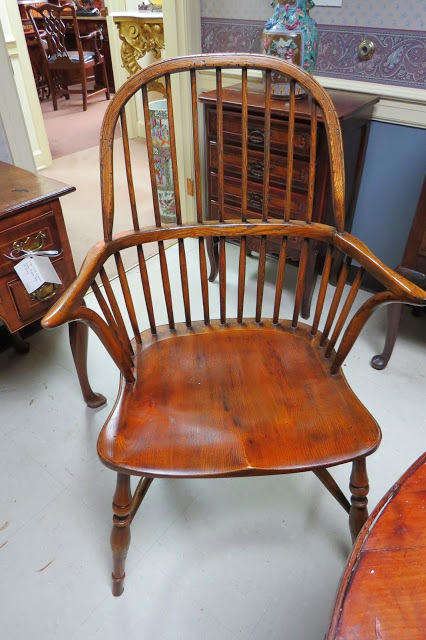 There are so many price ranges and artists, especially in the word of antiques. There is NOT always a history or provenance behind every painting, bronze or sculpture. Often, there are wonderful paintings that we consider "decorator paintings"...lower in cost and not always painted by a known artist.. 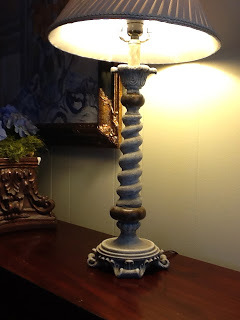 There is a place for these if you are cost conscious ...I have several in my own home that I LOVE! Do not overlook textiles as a wonderful form of art. Besides traditional fabrics, there are tapestries, needlepoint, woven textiles, quilts, lace collections, and personal heirloom treasures. 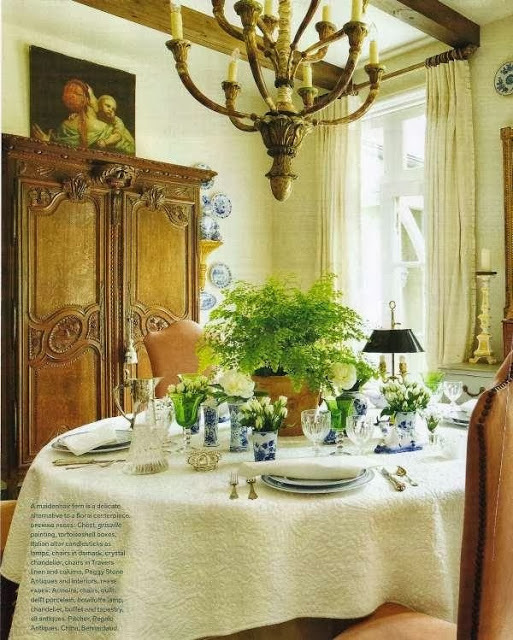 One of my favorite designers, John Saladino, uses a matelesse' coverlet on the top of his dining table. Layering of different textures makes the setting rich and more interesting. Allow your art the opportunity to "travel". Use your art in different settings ....it will take on a new life! Place your art in a place where you can enjoy it daily. I always say...Put something you love on the wall in your bedroom so it is the first thing you see in the morning. Remember....Design is in the Details! 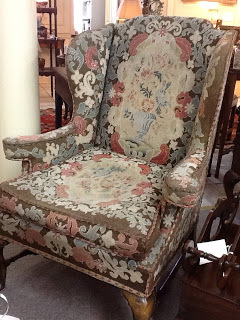 I will be sharing photos of examples here at Pickwick Antiques. This picture is an example of both needlepoint and petit point(sometimes spelled ..petite point). The term "petit point" literally means...small point. Although the terms, needlepoint and petit point are interchangeable, they are, in fat, very different. 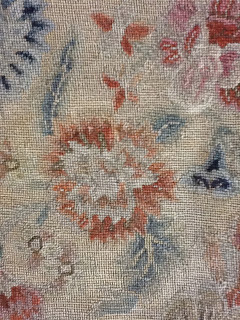 Petit point is comprised of small, fine stitches and is often stitched in single threads of "Penelope" canvas...or fine needlepoint canvas. Congress cloth is also used as well in this process. 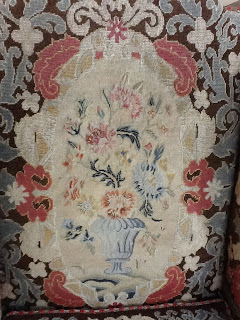 This photo is the central motif on a beautiful needlepoint Queen Anne style walnut chair...Beautiful craftsmanship. Remember..as Always...Design is in the Details! 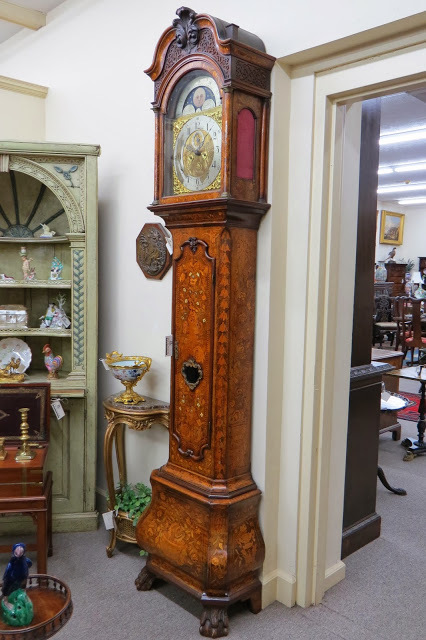 Anyone in the antique business will often receive calls about the value of their antique piece or family heirloom. 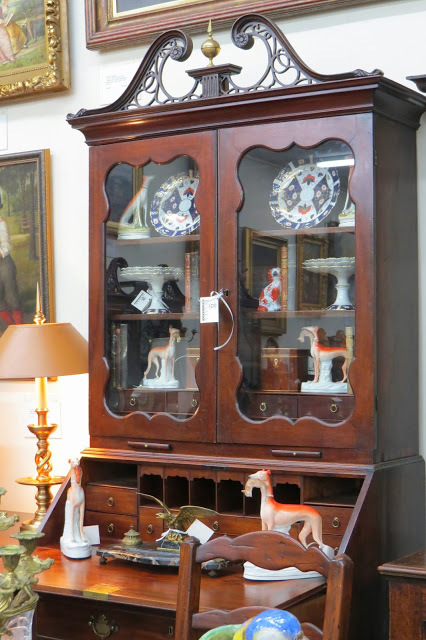 While each dealer has their area of expertise and knowledge...no one is familiar with all areas of antiques and collectables. Many times...someone will call or come by to find out "how much a particular item is worth." I must honestly tell them...we are not appraisers and are not qualified to give an estimate or appraisal. 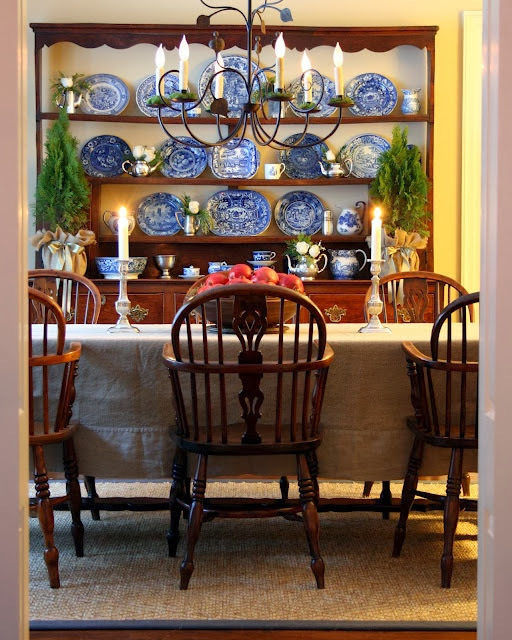 Often, someone will inquire about the value of a family piece of heirloom, in order to sell that item. 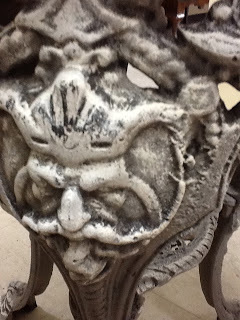 Still...antique dealers are not necessarily qualified to give that information. As there are specialists in other fields, so are there specialists in appraisals. 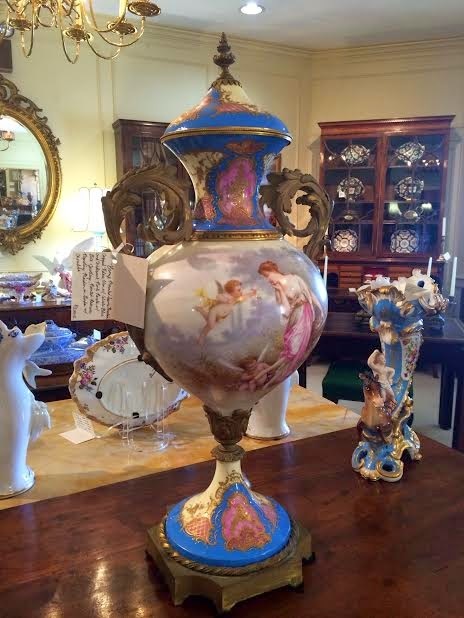 Appraisers will sometimes specialize in a particular area of knowledge from fine art, porcelain, silver, furniture to very specific areas. Be prepared to pay a fee for consultation as well as for time spent. Check online for certified appraisers that are knowledgable about your items. Fees are usually determined by the amount of time spent and the assessment of the piece. 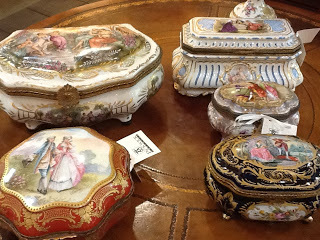 Imagine the time it took to make these beautiful porcelain boxes!